UK Stampin' Up! Demonstrator | make beautiful cards | Crafty Hippy: Welcome, Dylan! This card celebrates the arrival of Dylan ~ welcome to the World, baby Dylan! I'm not sure you can tell from the picture but it is actually quite a large card - even so I had trouble fitting his name on it, so I staggered the letters out. They are cut from the Storytime Designer Series Paper - and they were so gorgeous there wasn't the option to not to use them. The best thing of all about this card is that the lamb in the picture has some significance to the recipients, too! I really hope they like it - not my usual sort of card, so a nice change for me to make something different. After ordering and receiving the "Storytime" DSP I have decided to get another pack of it and finally start to scrapbook my daughter! Not literally, don't worry! I haven't actually got a nice book of photographs of my daughter printed, despite making them for other people. So time to get organised! 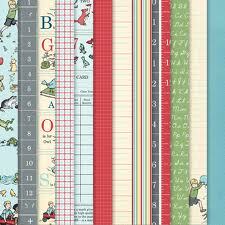 You can get this lovely paper through me as I am a Demonstrator for Stampin' Up! It costs £9.95 for 12 sheets (2 each of 6 double-sided 12"x12" designs) - and don't forget that we are still in the middle of Sale-a-Bration - which means free stamp sets and goodies to choose for every £45 you spend on Stampin' Up! Choose me as your Demonstrator today. Congratulations guys! I can't wait to have a cuddle with Dylan.